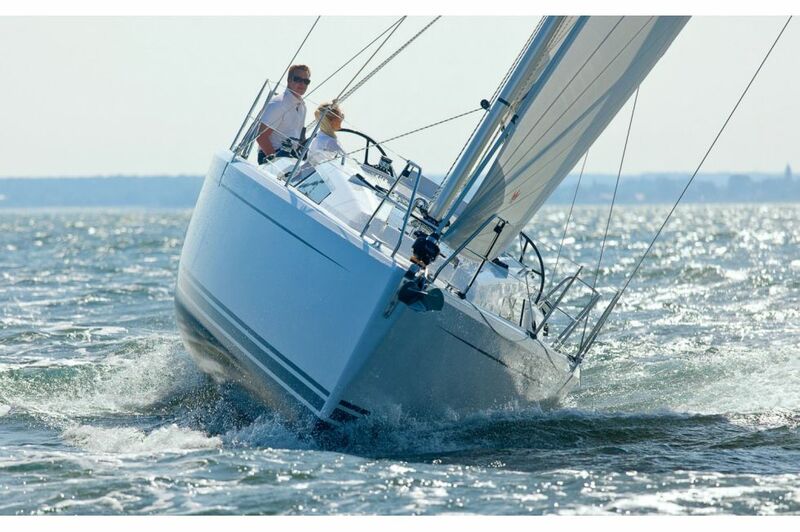 The new Hanse 315 brings the style, easy sailing, speed and comfort of the larger Hanses to a boat under 10 metres. 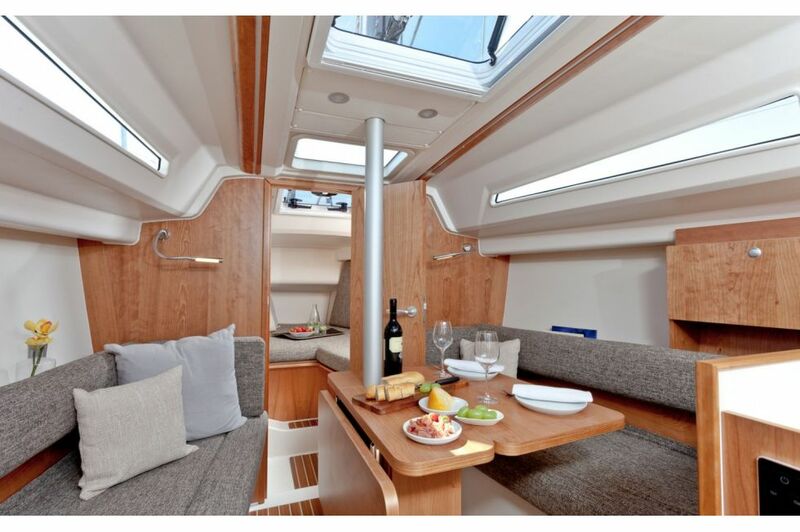 With its ingenious interior and berth configurations, the all new Hanse 315 is a boat that appeals to first time boat owners and experienced sailors from all age groups. 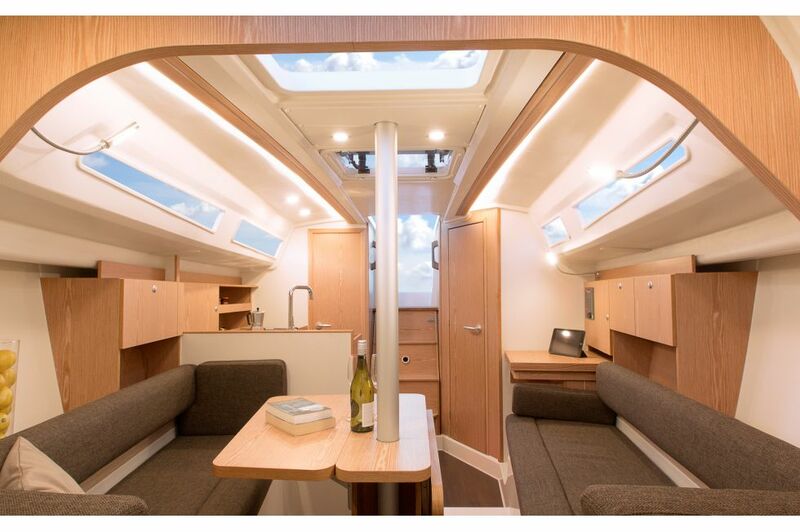 The flexible layout with its choice of open plan or closed forecabin has generous headroom, lots of light and ventilation and berths over 2 metres long. 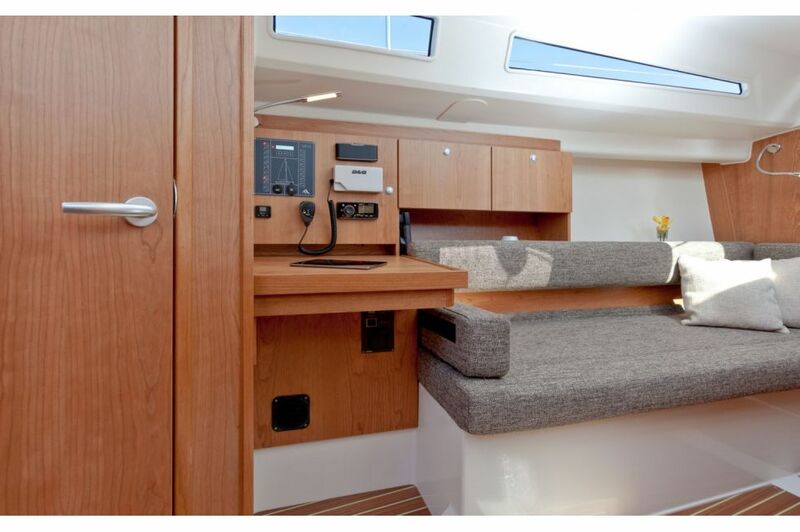 Yet there is still room for large cockpit and anchor lockers. 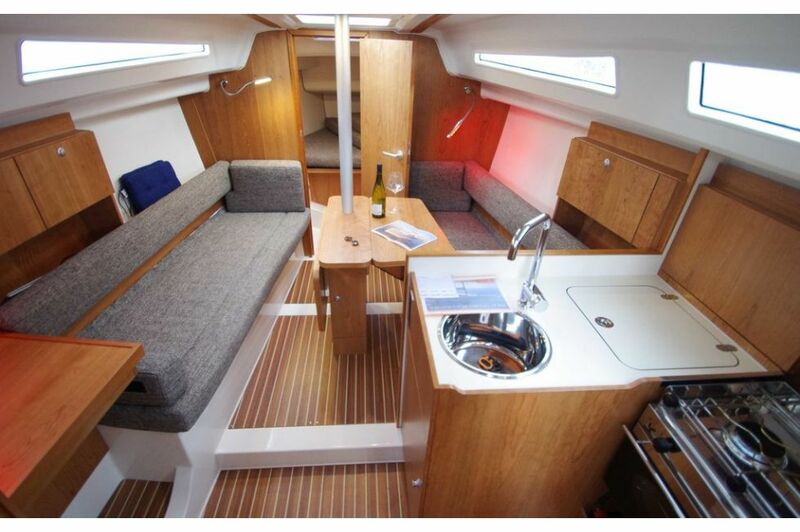 Supplied with tiller control as standard, there is also the option of twin steering wheels, a large folding cockpit table and folding bathing platform at the stern. 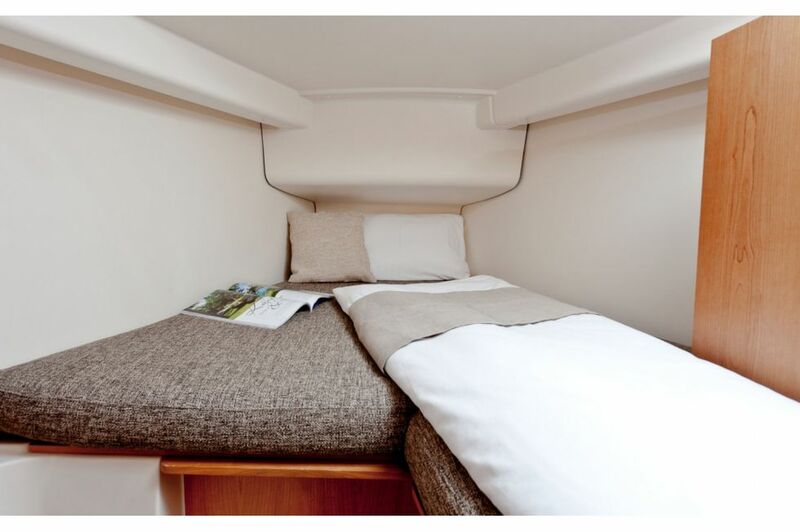 With a choice of a 1.85 metre standard keel or an optional shallow draft at 1.37 metres. 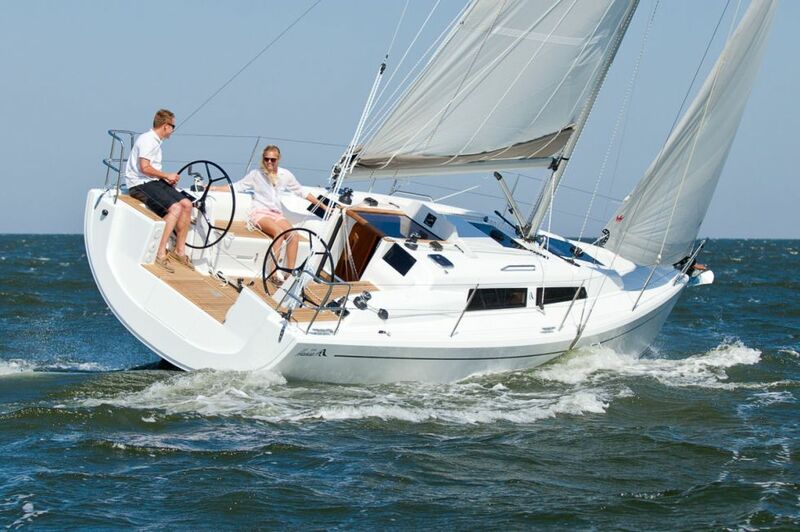 Everything you would expect from a Hanse, superb construction and build quality, twinned with easy handling and surprising space. 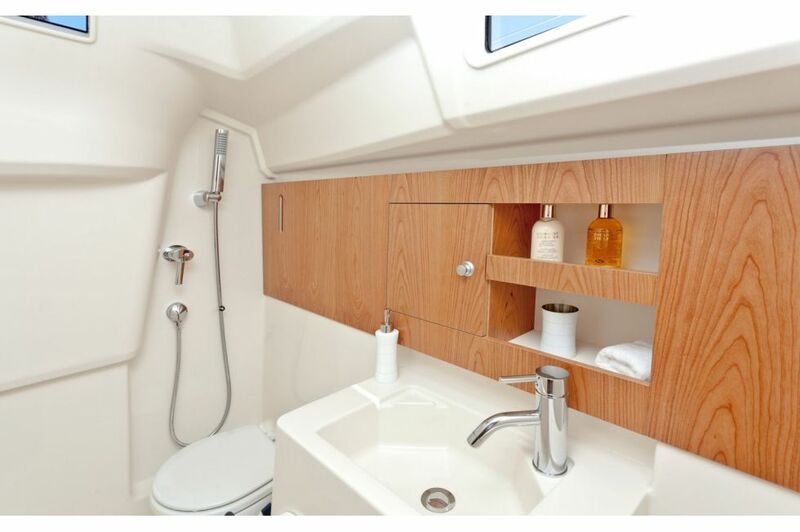 - GRP hull, isophthalic gelcoat, colour: Signal White (RAL9003), 1st layer vinyl ester resin with balsa sandwich core. - GRP deck with antislip surface, isophthalic gelcoat, colour: Signal White (RAL9003), 1st layer vinyl ester resin with balsa sandwich core. Cockpit locker on port.